Topping Off a Window is ALL about the Valance! 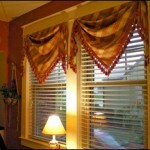 Home Design & Fashion Trends Topping Off a Window is ALL about the Valance! Looking for a place to upgrade your current décor? Look up! 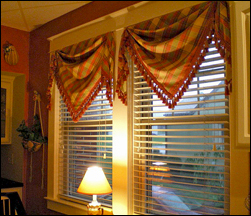 Custom valances to top your windows can bring new life, color and verve to any room. Not just fabric-covered boxes anymore. there are so many beautiful designs from which to choose, and any can be customized to suit your home and even your personality. Your 3 Blind Mice window fashion consultants will show you some of the most amazing ideas, discuss fabrics and materials, and offer you a the custom, at-home shopping experience of your life. and it will be fun, too!